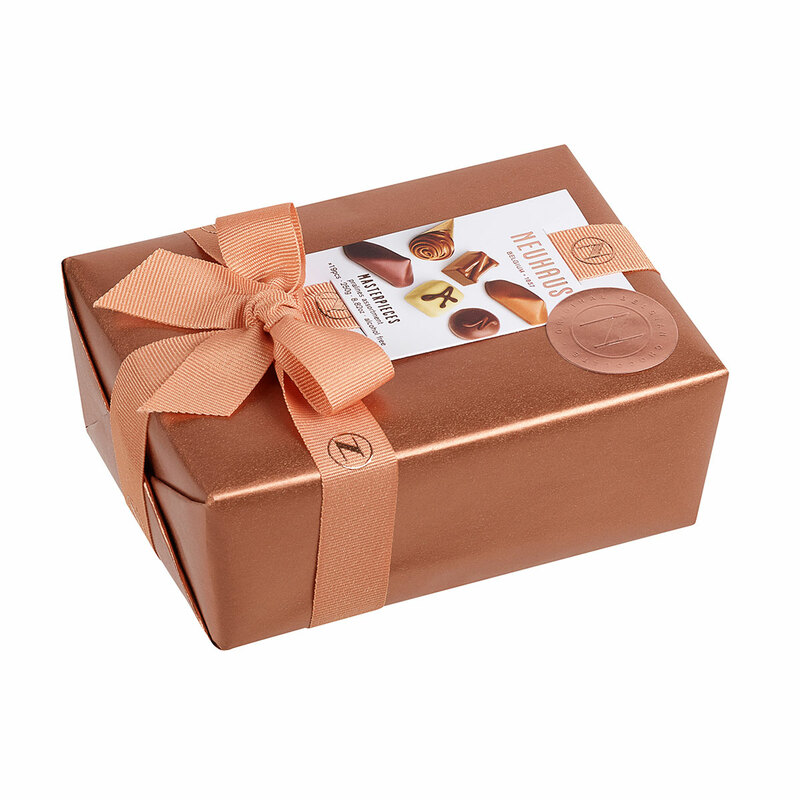 The gift set is complemented by a soft Happy Horse teddy bear. 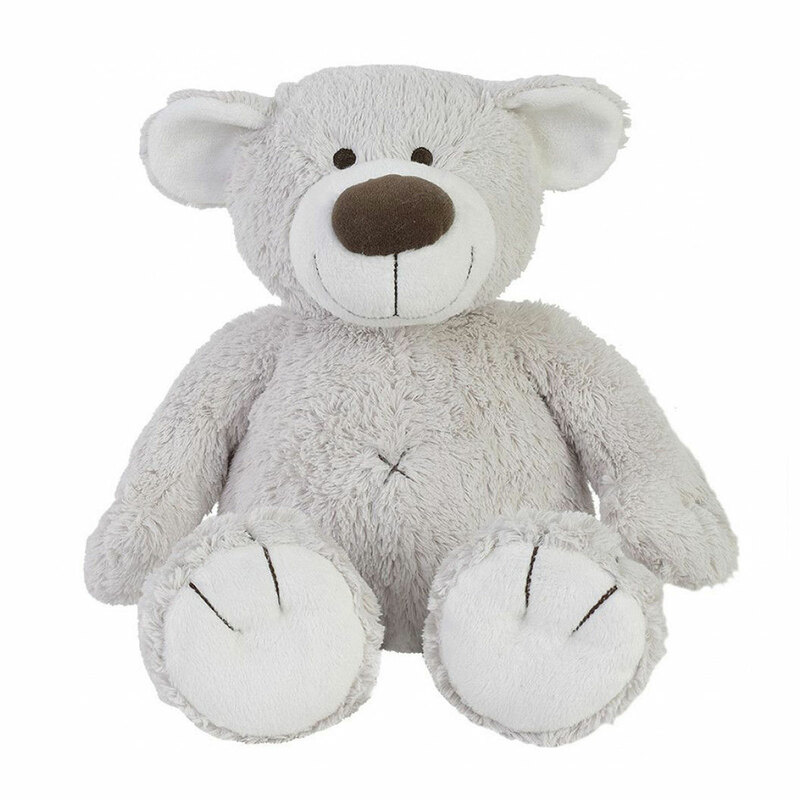 No better way to put your baby to bed than after a long, warm bath and with the sweetest teddy bear to cuddle with. 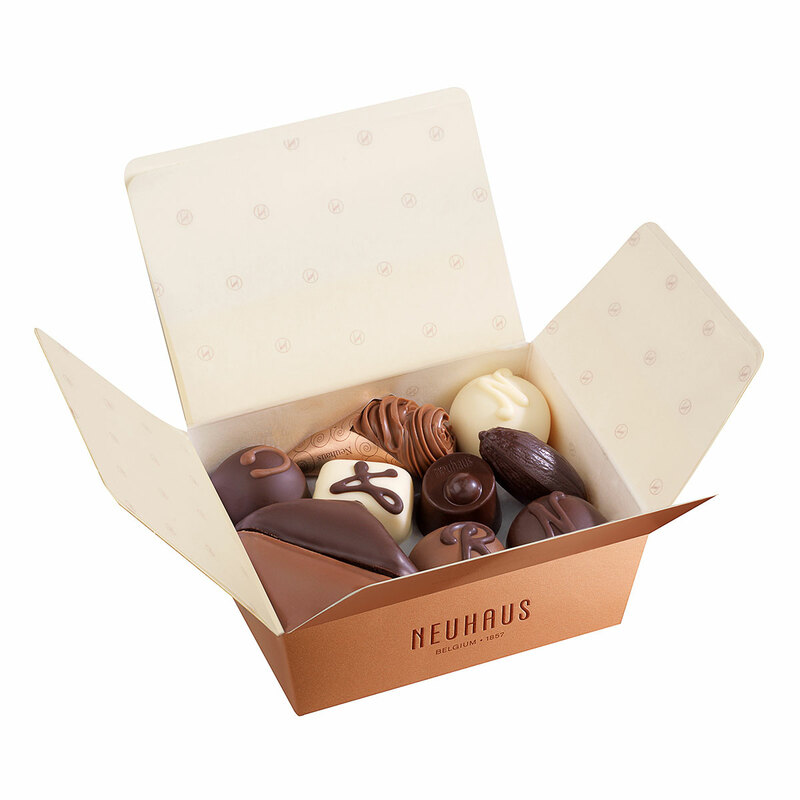 You can then relax and enjoy the heavenly chocolates from Neuhaus, presented in a stylish bronze paper wrapped ballotin.